A Palestinian doctor whose three daughters and niece were killed in an Israeli airstrike, and who was giving a live report on Israeli television when he received the news of his family being killed, has been told by an Israeli court in Beersheva that he will receive no compensation. The court ruled that the bombing of the family was justified. At the time, and for a number of years afterward, Dr. Ezzeddin Abu al-Aish was working in an Israeli hospital treating Israeli patients. He had long argued for coexistence and peace, and even after the killing of his family by an Israeli missile, he went on speaking tours with Israeli peace activists and argued for forgiveness. The Israeli military claimed, and the court accepted the claim, that there were ‘weapons stored in Abu al-Aish’s home’ – a claim which he said was absurd, and for which they offered no evidence. Despite the lack of evidence, the Israeli court in Beersheva ruled that the Israeli military was not responsible for the killing of the family with their missile. On November 25th, just a week before the court ruling, Dr. al-Aish had travelled to Israel from Canada, where he now lives, for a peace conference. He told the conference attendees that he was still optimistic for peace. He pointed out that kids who are fifteen years old now in Gaza have gone through three wars, and have no hope. During the court hearing, a spokesperson for the Israeli Army admitted that on February 4, 2009, a Golani infantry force that was under fire said they believed they saw ‘Hamas watchdogs’ near the Abu al-Aish family home. Because of that, they called in an airstrike, which flattened the house and all inhabitants within it. In 2009, Dr. Abu al-Aish was nominated for a Nobel Peace Prize. After working in Israel for many years, always advocating for peace, he is now an assistant professor at the Dala Lana School of Public Health at the University of Toronto, Canada. 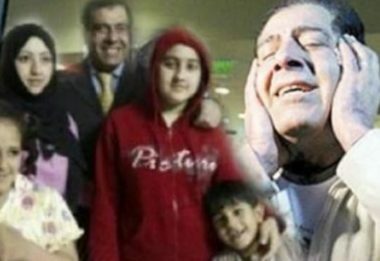 When his daughters and niece were killed, Dr. Abu al-Aish happened to be giving a live report in Hebrew on Israeli Channel 10, as he had done every day throughout the 2009 Israeli invasion without compensation, because he wanted the Israeli audience to hear what it was like on the ground in Gaza when the Israeli military attacked. Al-Aish’s daughters who were killed were: 22-year-old Bisan, 15-year-old Mayer and 14-year old Aya. His niece who was killed was 14-year-old Nour Abu al-Aish. In order to launch his lawsuit, Dr. Abu al-Aish was required to post a bond of 20,000 Israeli shekels ($7,000) for each of his daughters and his niece. Meanwhile, according to The Daily Star, Abu al-Aish has set up a foundation in memory of his daughters and niece, called Daughters for Life. He had intended to use any financial compensation from Israel to further the foundation’s goals, which include building schools for young women in the Middle East, as well as a school for First Nations women in Canada.